Royal Caribbean International has unveiled future plans for the first Quantum Ultra-class ship to be based in the Asia-Pacific region. Set to be launched in spring 2019, the yet-to-be-named ship will be the next evolution of the groundbreaking Quantum class and will join her sister ships, Quantum of the Seas and Ovation of the Seas. 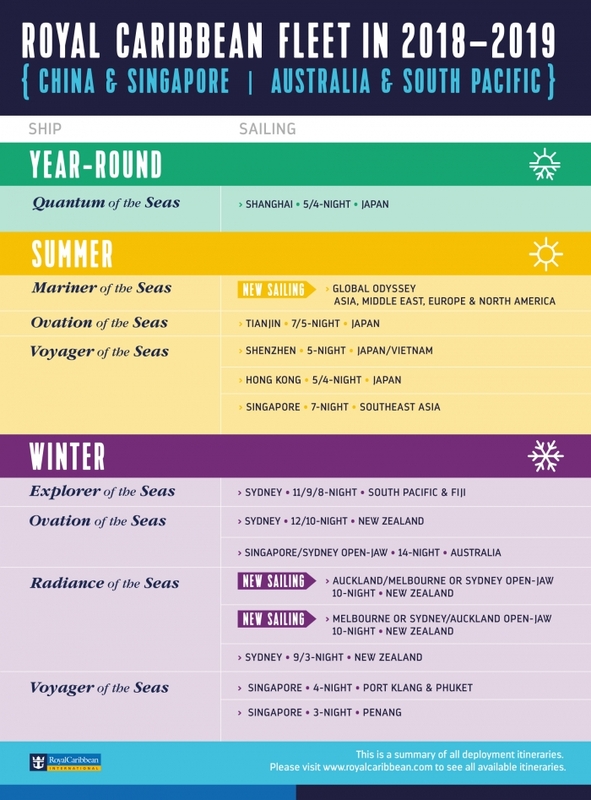 The announcement was made as Royal Caribbean unveiled its full roster of 2018-19 China, Singapore and Australia itineraries. With nearly a decade since Royal Caribbean’s first cruise in China, the cruise line further bolsters its commitment to the market by dedicating a lineup of its most technologically advanced ships to the rapidly growing market. The new ship will specifically be designed for guests in the region, featuring even more cutting-edge and unprecedented experiences and amenities. New – 10-night, open-jaw itinerary: Departing from Auckland, New Zealand to Melbourne, Australia, travelers will visit various captivating destinations throughout the Tasman Sea. 12-night South Pacific and Fiji itinerary: Visiting a lineup of exotic destinations, including Noumea, Caledonia; Port Vila, Vanuatu; Lautoka and Suva, Fiji.